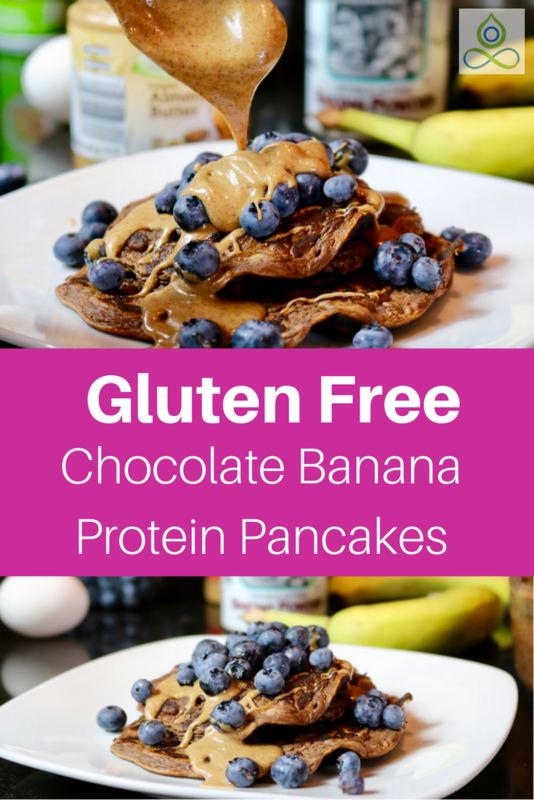 I’ve made it a life quest (okay, more like a two week brawl) to discover the best-tasting, gluten-free, high-protein, yet quick-to-make, pancake recipe. I know, a mouthful. Clearly I’m OBSESSED with pancakes, and wasn’t stopping until I found the perfect healthy recipe. But yet again, who isn’t pancake obsessed? They’re fluffy, delicious, and remind you being a kid. Well, at least that's how I feel when I eat pancakes. I feel like a 5 year-old without a care in the world who’s having the time of her life! 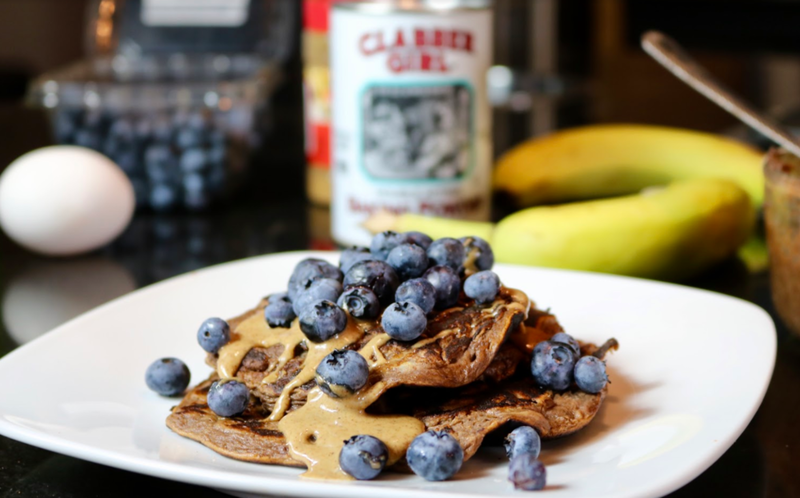 Besides bringing on nostalgia, this pancake recipe is perfect to eat after the gym because it’s filling, high in protein, and low in calories. Plus, it takes less than 10 minutes to make! 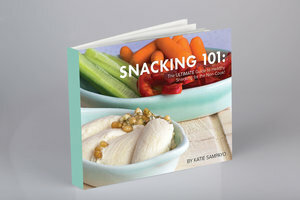 I don’t believe you need to deprive yourself of mouth-watering foods to be healthy and fit. I truly believe you can have BOTH, and can indulge in “sweet treats” while staying in tip-top shape. 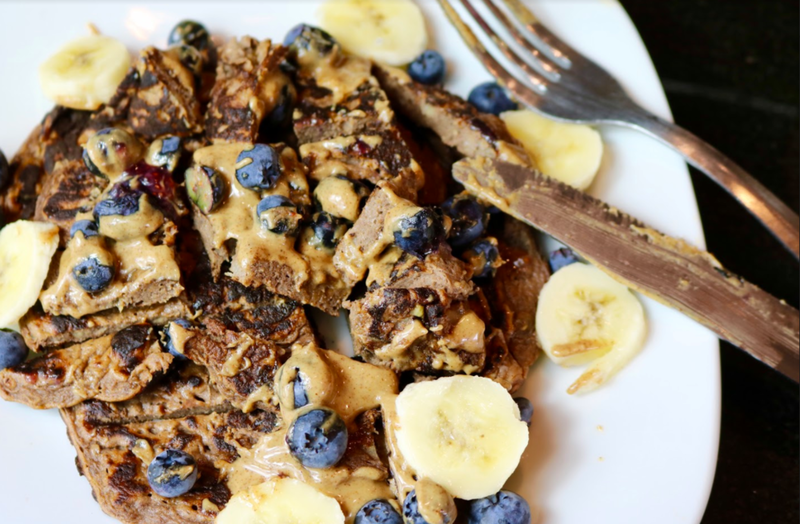 The key is to create healthy alternatives for your favorite foods, which is why I created this healthy guilt-free pancake recipe. 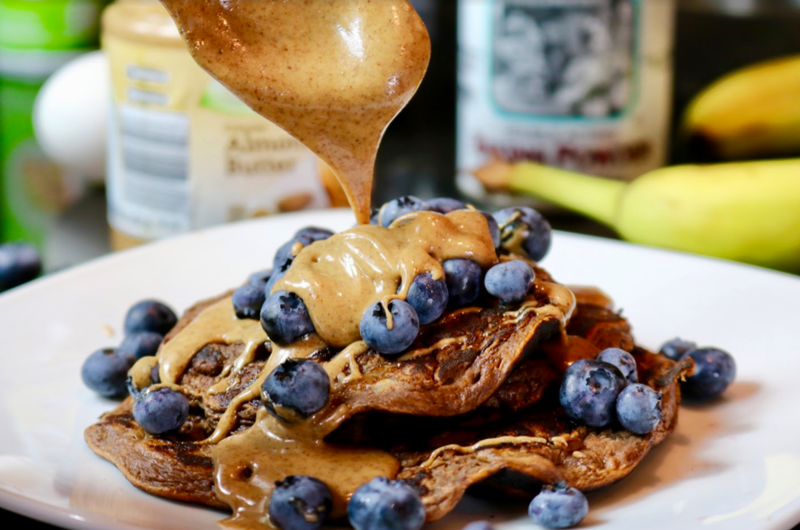 I suggest pairing these tasty Chocolate Banana Protein Pancakes with my 5 Minute Inflammation Blasting Turmeric “Latte” for a superfood, fat-blasting breakfast. Don’t believe me? Give it a try for yourself. You won’t regret it; I promise! 1. Mix all the ingredients together, except the berries and nut butter, in a bowl using a fork. 2. Coat a medium-sized pan with olive oil or coconut oil cooking spray on medium heat. Pour the batter into the pan, forming 4-5 inch circles. Flip after 1–2 minutes when bubbles start to form. Cook both sides to your liking. 3. Serve immediately with ½ cup of fresh berries and 1 tablespoon of nut butter. Pro Tip: Cook the pancakes with a lid to get them perfectly golden brown.